Seamlessly syncs your Reverb inventory with your Reverb Site inventory. 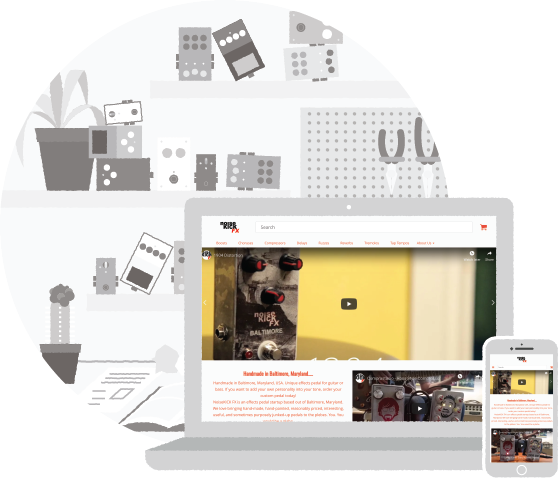 A dedicated experience focused on your brand and your gear. Use our theme builder and create custom pages to make your Reverb Site feel like your own. Setup only takes a few clicks. Customers are able to pay via your accepted payment methods on your Reverb Site. Offers and messages can be submitted straight from your Reverb Site. All maintenance and security is handled by Reverb with no hassles for the seller. No. Your shop on Reverb.com will always exist. 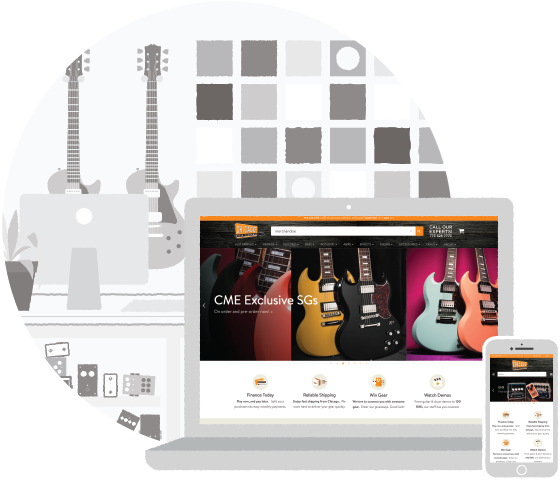 But Reverb Sites gives your customers a dedicated experience focused on your brand and your gear. How do I integrate my inventory? 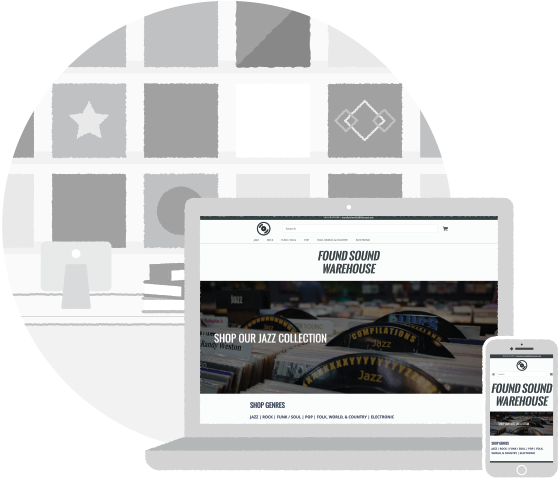 Inventory from your Reverb shop will integrate with your new Site automatically. When you use Reverb Sites, all of our e-commerce integrations that you are using with your Reverb shop will continue to work. Can I put items on sale? You will have all the power of your Reverb shop from your dashboard including putting items on sale, ending listings, and creating bundles. Will items in my Site still show up in Google and other search engines? Each page is designed with SEO in mind. Each page will include proper links and tags to make sure that your Reverb Site is easy to find online. Can I accept offers and messages on my Reverb Site? Yes you can! Customers are able to submit offers and messages on your Reverb Site as if they were on Reverb.com. All of your offers and messages can be managed on your Reverb.com dashboard. Yes, When a customer makes a purchase from your Reverb Site - you will be provided with their email address included with the order information. Who do I call if I have issues with my Reverb Sites? We would love to help you out if you have any questions. Visit our Help Center, submit a request, or chat us.